Disasters are rampant nowadays. Whether it’s a natural calamity like an earthquake, or a sudden deterioration of a stranger’s health, just having a list of drugstores in the Philippines is futile. In the event of an emergency that will need health aid, every second is precious and require immediate actions. Learning to apply the basic first aid skills is one way to prepare for such unpredictable phenomenon. If you want to know which first aid skills are essential, look no further. 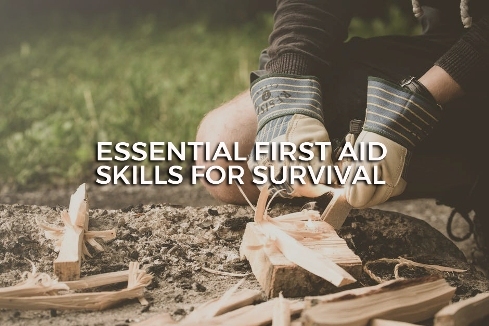 Here are the top first aid skills you should learn to survive emergency situations. Among all of the first aid treatments, CPR is the most depicted in movies and TV shows. This aid is the manual pumping of the oxygenated blood from the heart to the brain and then back to the heart. This process is done until a medical team arrives. Here are the steps to follow when giving CPR. I. Lie the person down and lift his/her chin to open airway. II. Check for pulse and breathing. You must perform CPR if the person is not breathing. III. Using your body weight, push hard and fast on the chest. The rate must be at least 100 compressions per minute. IV. Tilt the person’s head and pinch the nose. While still pinching the nose, blow into the person’s mouth for the chest to rise. After 2 rescue breathes, continue with the compressions. This cycle continues until the victim gains consciousness or until a medical team arrives. CPR is needed for a variety of reasons like cardiac arrest, drowning, and suffocation. When a person is choking, his/her upper airway is blocked. Such situation may lead to respiratory arrest. Just like giving a CPR, performing aid to a choking person follows a process. Make sure to follow these steps in case someone is choking. I. Back Blows: Using the heel of your hand, strike five blows between the shoulder blades. II. Heimlich Maneuver/ Abdominal Thrusts: This can only be done to victims who are not pregnant or obese. A. First, stand behind the victim and cover the waist with your arm. B. Clench your fist above the victim’s navel and hold the clenched hand in the other. C. As if you are lifting up the victim, pull inward and upward at the same time. D. Repeat the cycle of 5 back blows and then 5 abdominal thrusts until the blockage is dislodged. a. If the victim is pregnant or obese, a different version of the abdominal thrusts is done. Instead of pulling inward and upward by the navel, the hand must be positioned at the base of the breastbone. III. If the victim is unconscious after the obstruction is dislodged, perform CPR. - continuously complain about excruciating pain in the neck or back. Once it has been established that the victim has a spinal injury, make sure to follow these steps. I. Prevent head and neck movement by positioning towels (or any of the sort) on both sides of the head. II. Provide CPR if the victim is unconscious and shows no sign of circulation. Make sure that you do not tilt the head back, just gently lift the jaw forward. Anaphylaxis or severe allergic reaction is a serious condition that can be considered life-threatening. The most effective first aid is an immediate application of adrenaline through an injector called EPIPEN or ANAPEN. Here are the steps you should take in case someone requires the shot. I. First, pull off the safety release of the pen. II. Place the other end of the pen on the outer mid-thigh. III. Push the pen down hard towards the skin until you hear and feel the pen “click”. IV. Hold the pen in position for 3 seconds before removing it. Remember, just having a list of drugstores in the Philippines won’t do much help during an emergency. By learning the basic first aid skills mentioned earlier, you are equipping yourself in case an emergency occurs.